오늘의 표현은 second to none입니다. What does second to none mean? Let’s find out, but first we will listen to today’s conversation. 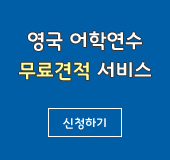 그럼 오늘의 대화를 들어보면서 ‘second to none’이 무슨 뜻인지 알아보겠습니다. 잘 들어보세요. Listen carefully. Jason: Wow! Christine’s piano performance was second to none! I didn’t know she was that good! Jen: You’re right! Her performance was the best! 본문에서 Jason은 제게 “Wow! Christine’s piano performance was second to none! 와! Christine의 피아노 연주는 최고였어! I didn’t know she was that good! 그녀가 그렇게 피아노를 잘 치는지 몰랐어.”라고 하자 저는 “You’re right! Her performance was the best! 네 말이 맞아. 그녀의 공연은 최고였어.”라고 했습니다. Now keep today’s expression ‘second to none’ in mind and let’s hear the conversation again. 그럼 다시 한번 대화를 들어볼까요? Today’s expression is second to none. Second to none simply means ‘the best’, ‘better than everything else’. So if something is as good as the best, it is second to none. ‘Second to none’을 직역하면 ‘누구에게도 둘째가 아니다’ ‘누구에게도 뒤지지 않는다’는 뜻이니까, 말 그대로 ‘최고’ 혹은 ‘제일’ 이라는 의미로 사용합니다. In today’s conversation Jason is astounded by Christine’s piano performance. He says that her performance was second to none. That simply means that it was the best. 오늘 본문에서 Jason은 크리스틴의 피아노 연주가 최고였다고 했습니다. 영어로 “Wow! Christine’s piano performance was second to none!”라고요. 이렇게 어떤 분야나 일에서 최고일 때 쓰는 표현이 바로 ‘second to none’입니다. Now let me give you some example sentences using today’s expression. “Jerry, you are second to none.” 라는 문장을 해석하면 “Jerry, 네가 최고야!”라는 뜻입니다. Here is another example sentence. “This Italian restaurant is second to none!”은 “이 이탈리아 식당은 어느 곳에도 뒤지지 않는다.”로 해석할 수 있습니다. Now that you know what today’s expression means, let’s listen to the conversation for the last time. Let’s review what we have learned today. Second to none simply means ‘the best’, ‘better than everything else’. SECOND TO NONE. Keep this expression in mind and try using it on your own. 지금까지 ENGLISH WITH YOO에 Jennifer Yoo입니다. Until next time, bye bye!